I don’t know if anybody noticed, but there hasn’t been a lot of blog and that’s because I’ve been hung up on what the next book is going to be about. Now, as you can probably guess, it’s going to be about fisheries and fisheries science in the Pacific, because that’s what I write about. But what slice of the story to tell next? I have also been very involved in teaching and learning about teaching at Oregon State University this past year. I spent parts of the summer and fall working on classes for OSU’s new undergraduate program in Marine Studies Initiative. I also taught my graduate seminar on the history of fisheries science during winter term. My own work has taken a back seat (well, let’s be clear, I grabbed that back seat as fast as I could, there is nothing as dreadful as starting a new book unless it is trying to end a new book). I’ve made several stabs at starting to read my research materials but it hasn’t been sustained. But I am finally starting again, and it is with a great deal of thought that has gone into how to tell stories about the natural world and our relationship with it. One of the recent classes I taught in the Honors College was built around Blue Mind, by Wallace Nichols. He argues that we protect what we love. To me, that translates into how can we learn more about our interactions with the ocean? We do it through stories and making connections with the past. Alert readers will remember Dr. Ellen Pikitch getting the Oscar Sette award from AFS, She asked me look in Sette’s career and, as always, research often leads to more research, not necessarily to answers. I tracked down Sette’s influential paper of 1954,* I found the footnotes, and so many of them were translations from the Japanese. And that made me think about again about somebody I have always been curious about, Bell Shimada. Here’s link to an early post about this young Japanese-American fishery scientist who died in an air crash in 1958. Bell Shimada worked for Oscar Sette in Honolulu. But before that, he was one of three scientists sent to Tokyo, as part of a military operation to find research on Japanese fisheries science and oceanography. Historians of science are interested in how science is created, how decisions are made. 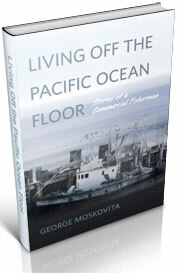 In the case of the Pacific Ocean, American and Japanese scientists combined their understanding of how the ecosystem works. A piece has been left out of this story, the Japanese contribution through military translations of scientific documents. I haven’t done a complete count of how many documents were translated, but I know many were about tuna (the Americans hoped to expand their tuna fishery into waters where the Japanese had pioneered a fishery in the Mandated Islands), and about salmon, and salmon hatcheries. 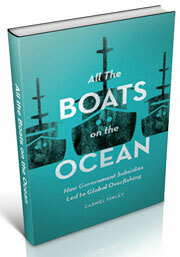 One of the factors that drove the rapid post-war expansion of fishing was money from governments, subsidizing the building of boats and equipment. 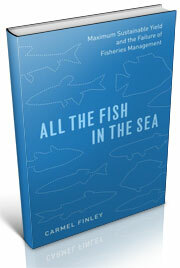 But there were also military reasons to expand fishing, especially in the Pacific Ocean, after 1945. *O.E. Sette, “Progress in Pacific Oceanic Fishery Investigations, 1950-1953,” U.S. Fish and Wildlife Service, Spec. Sci. Rep. Fish, 116, 75 pp. This entry was posted in Carmel Finley, Cold War, Environmental History, fisheries science, History of Science, Japanese fishery science, Ocean fishing, Pacific Fishing History Project and tagged O.E. Sette. Bookmark the permalink.